More commonly known as Okuno-in, the Okusha Hohaisho prayer building is located in the Myobu-dani valley to the east of the main shrine building, at the end of the Senbon Torii (Thousand Torii) gateways. People come here to pray to the holy mountain Inariyama, whose three peaks can be seen right behind the building. The age of the building can be determined from a record called Senguki from 1499, but details such as the original size are not known. 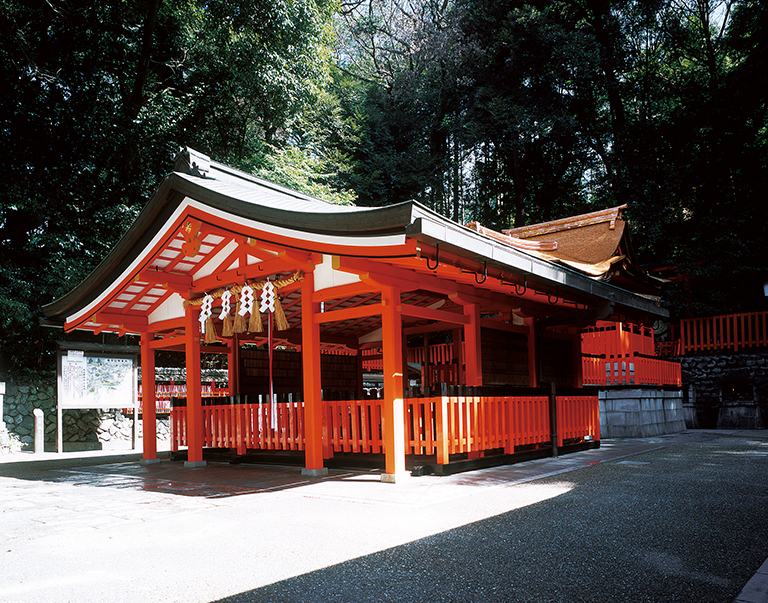 In the Edo period, it was called Fukosho and Kumotsujo, which means “offering place”. The building was destroyed by a natural disaster in 1794, and was rebuilt in a slightly larger size than the original one. Then in 1975, the shrine building was moved backward to its current location and a prayer area was built in front of it. There is a pair of stone lanterns in the back right-hand corner of Okusha Hohaisho. 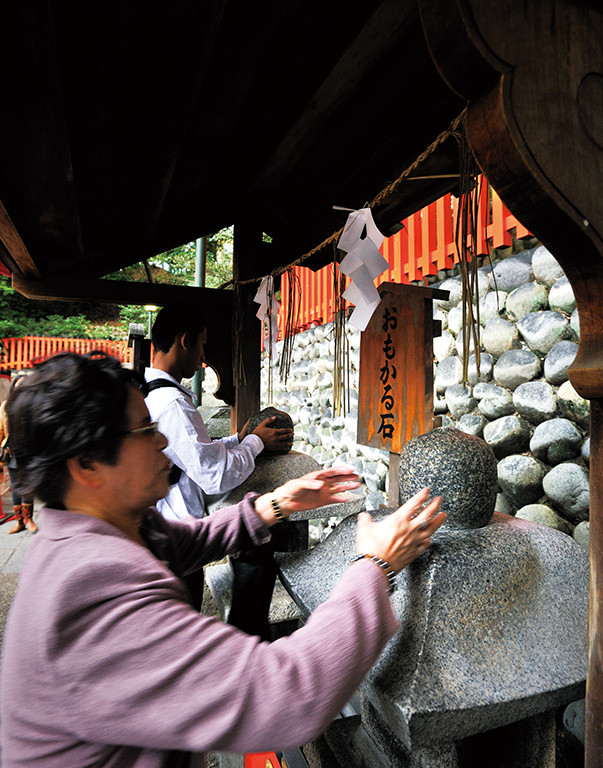 Make a wish in front of one of the lanterns and pick up the top of the lantern (kuurin). If the stone feels lighter than you expected, your wish will come true, and if it feels heavier, your wish will be unlikely to come true.